Apple may have started the post-PC revolution but its in danger of getting left behind. Digesting the rumors: Where's the iPad Pro going next? It’s been a big week for tablets. First, Samsung surprisingly revealed an update to its flagship Galaxy Tab S, with nary a week to go until its Note 9 Unpacked event. Then 9to5Mac unearthed an iPad Pro icon in iOS 12 with no home button and skinny bezels. 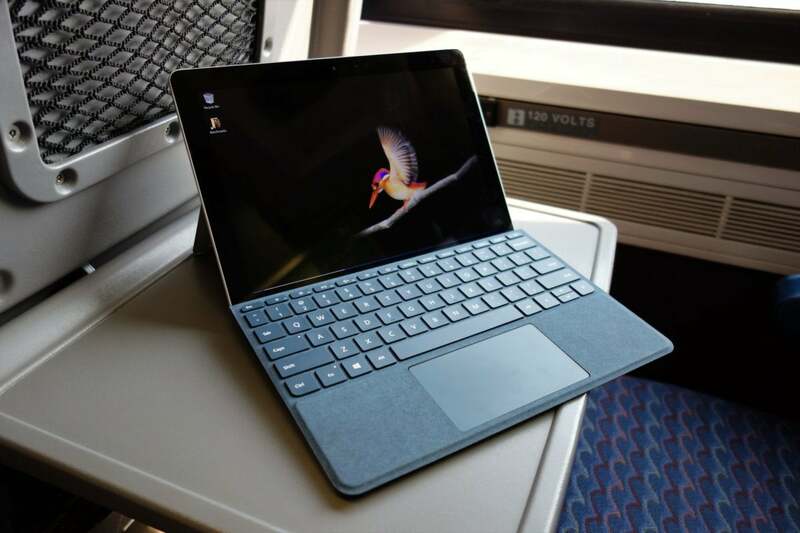 And it was capped off by the first round of Surface Go reviews, with our own Mark Hachman praising its versatility and affordability. This icon from the iOS 12 beta shows an iPad Pro with no home button and skinny bezels. And all three tablets might have different specs and target audiences, but each of them has one thing in common: productivity. Apple has been running ads for months trying to convince people that the iPad is good enough to be a bonafide replacement for a “traditional” computer. And while it offers an optional keyboard and stylus support like the Tab S4 and Surface, Microsoft and Samsung take the 2-in-one concept several steps further than Apple. Apple’s going to need a whole lot more than skinnier bezels if it plans on keeping pace. A new iPad Pro design that dumps the home button is certainly buzzworthy, but shedding size and weight won’t really make the iPad any more pro than it is now. Apple may want us to think of its flagship tablet as a computer replacement, but the fact of the matter is, Microsoft and Samsung are more viable PCs than the iPad Pro. And if the rumors are any indication, that won’t be changing anytime soon. Most Android tablets pale in comparison to even the long-in-the-tooth iPad mini, but the Galaxy Tab S4 stands apart from the crowd. With a Snapdragon 835 processor, 10.5-inch screen, Dolby Atmos support, and a 7,300 mAh battery, it’s certainly a nice upgrade over the prior model. But along with a new design—which like the rumored iPad Pro, ditches the home button—the Tab S4 has a neat trick up its sleeve: it doesn’t have to run the standard Android Oreo OS. Granted, you can’t install Windows or anything like that, but Samsung has added support for its PC-style DeX interface on the Tab S4. Pop the tablet into the Book Cover Keyboard and you’ll get more than a comfortable typing experience. 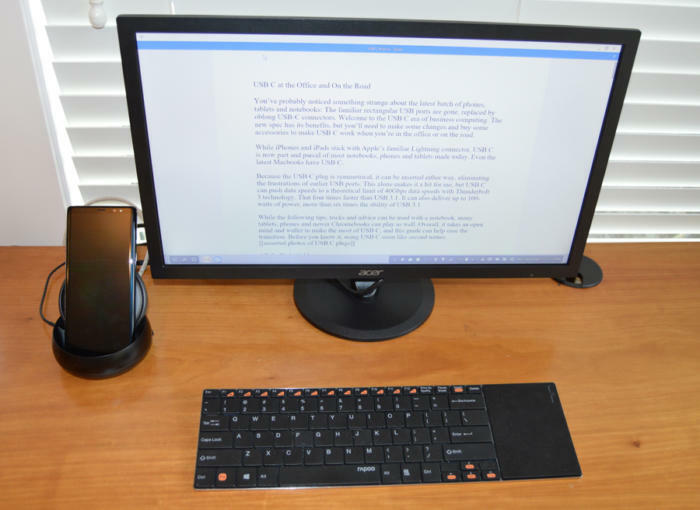 You’ll be able to work in a PC-style environment with a cursor, task bar, resizable windows, and drag-and-drop multitasking. I’ve already used DeX extensively with Samsung’s flagship Galaxy phones, but the Tab S4 is a much more natural home for it, bridging the gap between PC and tablet without taking away its portability. Now, I know what you’re thinking: “But you’re still running Android apps!” That’s true. But Samsung has created something of a hybrid system with DeX, basing it on the same foundation but retooling the interface to be more like Chrome OS than Android. You’re still using Android apps, but you can interact with them like you would on a PC. And instead of slimmer bezels, I’d love to see Apple create something similar on the iPad Pro. Samsung’s DeX interface lets you use full-screen Android apps on a big screen. That’s quite a difference. On the iPad, the keyboard is about comfort, but on the Galaxy Tab S4, it’s designed for productivity. The same is true of the Surface Go, which boasts “full-mechanical keyset, backlit keys, optimum spacing for fast, fluid typing, and an extra-large glass trackpad for precise control and navigation.” If Apple truly believes that the iPad is the future of computing—and I’m not here to dispute that assessment—then the iPad needs to evolve beyond a new design. It’s been eight years and the only real productivity advantages between latest iPad Pro and the original iPad is the ability to run two apps side by side. When iOS 11 arrived, it was definitely a “monumental leap” for the iPad’s productivity capabilities, but Samsung and Microsoft clearly have bigger ideas for what a tablet should and could be. With Apple, it’s more about elevating iOS on the iPad to be more powerful than it is on the iPhone than trying to create some kind of next-generation version of the Mac. Pound for pound, the iPad Pro is still the best tablet you can buy. It’s got a great chip (that’s about to get better), a fantastic design (that’s about to get better), and the best app support by a country mile. But when it comes to replacing your PC, the Surface Go and Galaxy Tab S4 have got it beat. It might not be as powerful as the iPad Pro, but the Surface Go is more of a PC than Apple’s tablet. It’s been the biggest knock on the iPad since day one. 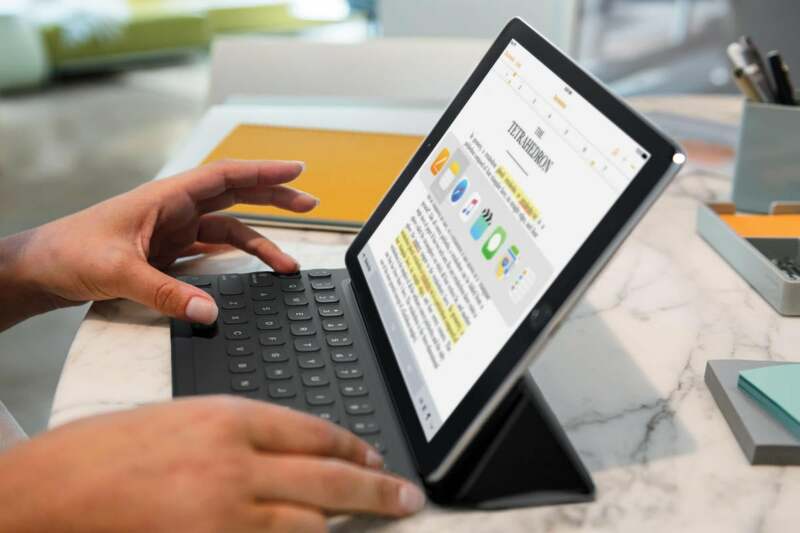 Even with robust apps that are every bit as powerful as their Mac counterparts, keyboard support, and one of the best Bluetooth pens in the business, the iPad is still a far cry from a pro machine, at least not when compared to its peers. The post-PC revolution may have started with the iPad, but Samsung and Microsoft are offering better 2-in-one solutions for people who want to live in both worlds. The new iPad Pro might have a bold new design, Face ID, and Animoji, but until Apple embraces its PC side, it’s never going to be anything more than just a really good tablet.